An upcoming national safety conference in August features positive evidence that forest contractors and managers have really embraced new safety applications. The early adopters have proven the new systems are vital to embedding safety in their daily work practices on the forest floor. Close to 200 forest companies are registered to become certified contractors under a nationwide safety system for forest contactors and managers. The SafeTree system was developed by industry leaders and led by the Forest Industry Safety Council (FISC) under the leadership of Fiona Ewing. More than 33 companies have now become certified and over 150 are now engaged in the certification process. FISC engaged the Bravegen team led by Chris Lindley to develop practical software to suit forest-based worker teams and their bosses. A key part of their brief was to ensure SafeTree could be used in a practical way for working safely. Lindley says there has been a very positive response by the forest industry in general to adopt their new applications. He adds they understand the new certification system is ideal to help them make their businesses safer for everyone out on the forest floor. Both Chris Lindley and Fiona Ewing are also contributing to a major national conference on forest safety practices in August. 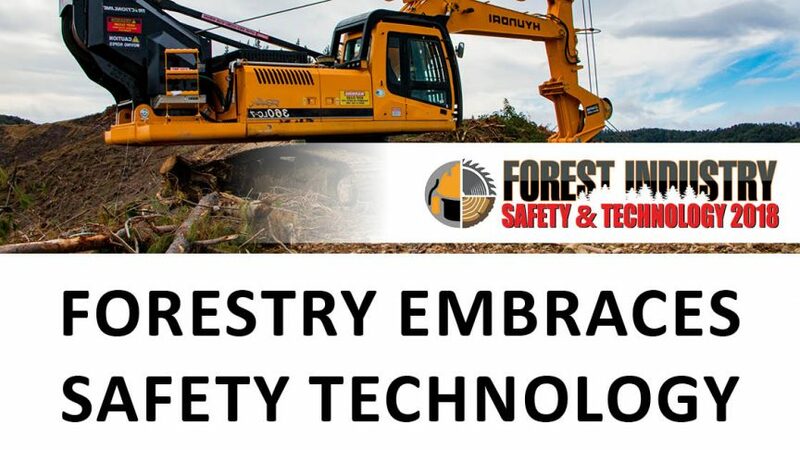 The Forest Safety & Technology Conference series will showcase how our forestry leaders have delivered both safety and productivity benefits for people across a range of workplaces. “For our conference, Chris Lindley is presenting on the SafeTree system implementation alongside Lee Perry from Gale Contracting. Lee is a SafeTree auditor, and was involved in certification from the outset so it will be a very practical session,” says Forest Industry Engineering Association spokesman, Gordon Thomson. In Australia there is a pan-industry workshop on the afternoon before the FIEA conference – from 1 to 5pm on 14th August, also at the Bayview Eden Hotel in Melbourne. FIEA has worked with Stacey Gardiner from Australian Forest Contractors Association and Diana Lloyd of Forestworks in Australia on this workshop.